MetaSlim is an herbal diet supplement from India that comes in the form of a powder you mix with lukewarm water. The manufacturer claims it helps keep your body from depositing fat, improves digestion and decreases your appetite. 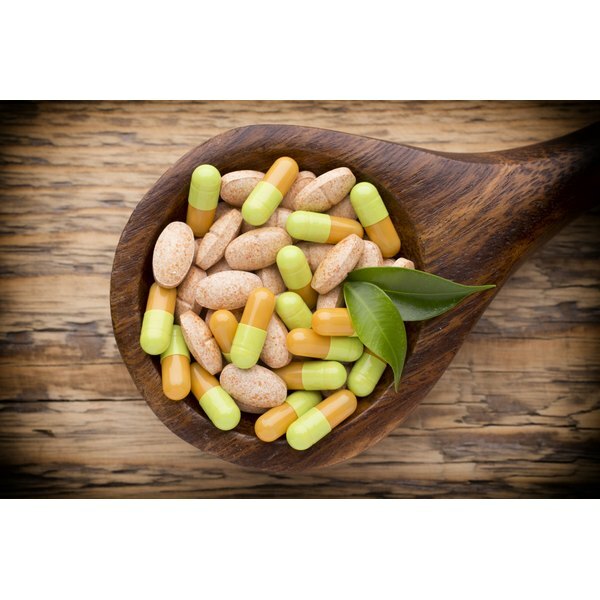 It contains many of the same active ingredients as other popular diet supplements, but research is still preliminary and conflicting on whether these substances actually lead to increased weight loss. Speak with your doctor before taking MetaSlim, as it may not be safe for everyone. The main ingredients in MetaSlim are bitter orange extract, green tea extract, cayenne pepper, yerba mate and ginger extract. For those familiar with Ayurvedic medicine, the MetaSlim website also lists the ingredients as trifla, nagarmotha, vaividang, ajwain, pippali, arjun and sendhav. Makers of dietary supplements include cayenne pepper, yerba mate and bitter orange in an effort to increase metabolism, and green tea to try to limit fat deposits. Preliminary scientific research shows that some of these ingredients may be beneficial for weight loss. The catechins in green tea may increase weight loss by a small amount, according to a meta-analysis published in the "International Journal of Obesity" in 2009. A study using animals, published in "Laboratory Animal Research" in March 2012, found that yerba mate helped reduce weight gain from a high-fat diet and decreased cholesterol, blood sugar and triglycerides. Further studies are needed to verify whether the same benefits occur in people. Bitter orange may increase your heart rate and blood pressure, and there are concerns it may cause similar reactions to those caused by ephedrine, which is now banned in supplements. Yerba mate is high in caffeine, so it could cause upset stomach, difficulty sleeping, anxiety, an increased heart rate or arrhythmias in some people. Using high amounts of mate for a long time may also increase your risk for cancer, especially if you also drink alcohol or smoke, according to the Memorial Sloan Kettering Cancer Center. In a similar way to grapefruit, bitter orange may interact with certain medications, including glucocorticoids, calcium-channel blockers and anti-fungal medications. People suffering from anxiety, high blood pressure or heart disease, as well as pregnant or breast-feeding women, should avoid consuming mate, which means avoiding the MetaSlim diet. MetaSlim: What Causes Undesired Weight Gain and Obesity?